CloudApp provides the ultimate screenshot software. Quickly capture images and HD video from the screen of your computer. Access your content anywhere. This is communication without boundaries. 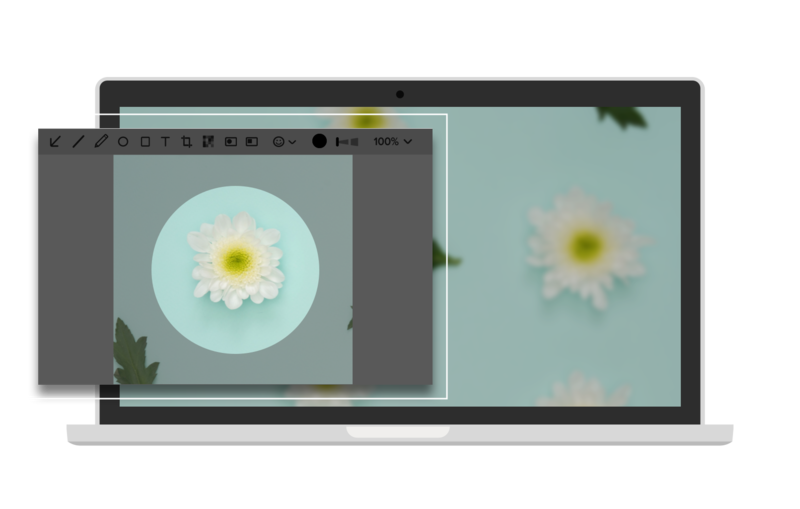 CloudApp's Screenshot Software is available for Mac, Windows, iOS and Chrome. Downloading the software is quick and easy. Simply download the app from GetCloudApp above, access it from the Apple Store for Mac and iOS, for PC from the Microsoft Windows Store, or go to the Chrome Webstore and add the extension to Chrome. Innovators have a few options when it comes to screenshot software - but only one program does it all. 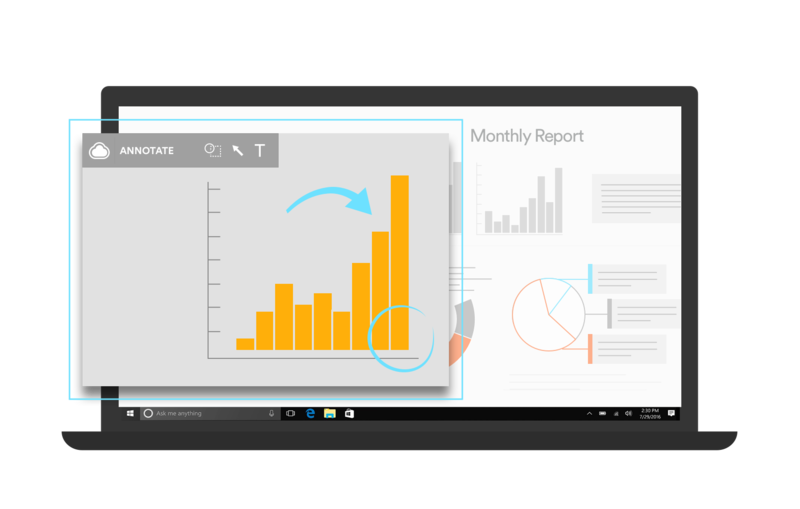 Use the snipping tool to select the portion of your screen you need and capture with a single click. CloudApp allows users to save screenshots to the cloud and instantly annotate them. Add text, images, shapes and emojis. Instantly share your content with a co-worker on Slack. Drag a screen recording into an email. Embed a GIF into a landing page. CloudApp’s screenshot software offers unlimited possibilities. Using CloudApp’s screenshot software app makes your team faster. Industry leaders don’t use text to communicate. 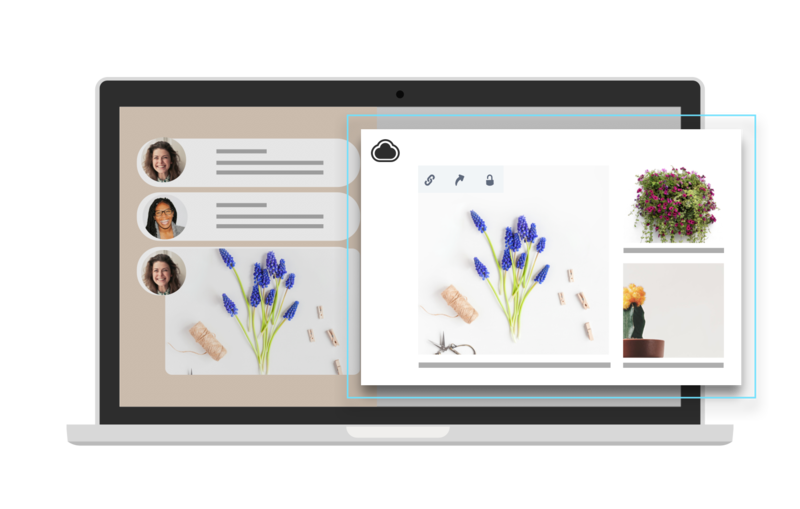 With CloudApp, users can capture screenshots, webcam videos, GIFs and more. Everything happens in a snap.Typing an explanation over email is a waste of time. Getting the point across with a screenshot is more efficient. Solving a problem with an HD screen recording saves precious seconds. The human brain processes images 60,000X faster than words. With CloudApp, your communication speed can increase by 300%. Lightning fast screenshot software isn’t a luxury- it’s a necessity. CloudApp is the best screenshot software solution for everyone. Download on Mac, Windows, or Linux for free. All users can capture web content with CloudApp's Chrome extension. Take a quick screenshot of a website and share it with a client. Need access to a screen recording on the go? The CloudApp iPhone app removes all boundaries. Save a screenshot on your Mac or Windows desktop and share it later on your smartphone. Innovation happens everywhere. CloudApp's screenshot software gives you full access to the cloud. The screenshots professionals capture contain sensitive information. Financial information, unreleased prototypes, client data. CloudApp’s screenshot download keeps your content safe. With a multi-tiered security system, users can capture and share with confidence. Every screenshot is encrypted and stored on Amazon’s Virtual Private Cloud. Data centers are monitored 24/7 and regular penetration tests are conducted to eliminate potential threats. CloudApp provides free online cloud storage without the worry. That’s it. In only a few seconds you can capture screenshots and store them in the cloud for free. CloudApp even has premium options for those who require unlimited online storage. CloudApp is made for innovators. Office all-stars and leaders utilize the best tools in the world. Those programs and apps are integrated into CloudApp. Instantly enhance an article on Medium with a screenshot. Solve a customer issue with a screen recording on Zendesk. 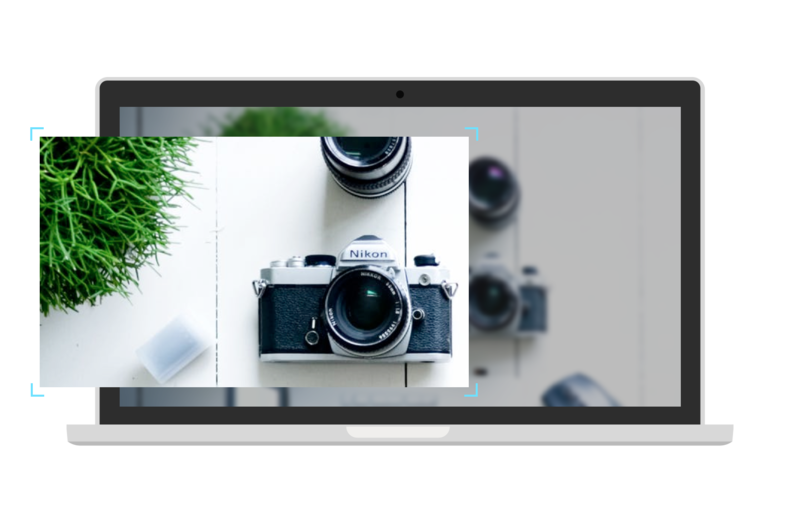 Embed a GIF to your Wordpress website without complex coding. Complete an Asana or Trello ask in CloudApp with a single click. Working with CloudApp is intuitive and effortless. Get ready to experience the next generation of screenshot software. CloudApp is a screenshot download that your entire team can use. Developers can communicate complex coding issues with a webcam video. A designer can showcase logo edits with a GIF. A developer can speed up bug fixes in seconds. Sales reps can impress a prospect with a custom annotated image. One tool, endless possibilities. The speed of technology increases every day. True innovators find ways to constantly improve. If you don’t keep up with the pack you’ll be left behind. Level up your screenshot software today and register for a CloudApp account for free, and start being up to 300% more productive.